Dust off your shoebox of favorite family photos and rush over to ScanMyPhotos.com. Then, the race is on. ScanMyPhotos.com will scan up to 1,000 4x6" photo snapshots in 15-minutes, or your order is free (regularly $49.95), plus we will include a free 6x6" photo flip book collage randomly selected from your scanned photos (See 6x6" Photo Flip Book Sample). 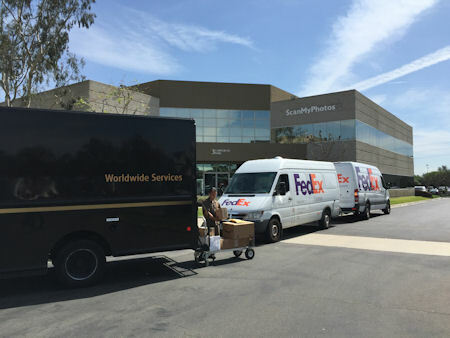 For our nationwide and international customers using our prepaid fill-the-box photo scan box, or mailing us your own boxes, we are providing the same challenge. Upon receipt of your order, it will be scanned and prepared for same-day return mailing, or your order of up to 1,000 4x6" photos are free (S&H and applicable tax not included). 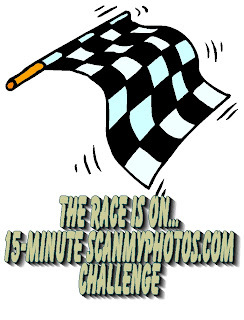 Rules: The 15-Minute ScanMyPhotos.com Challenge expires on Jan 30, 2008. Valid for up to 1,000 4x6" photos. One per person / address. For walk-in customers, if your original photos are not returned to you within 15-minutes, during regular business hours, or prepared for same day return for direct mail customers, your scanning is free and you will receive a free 6x6" Photo Flip Book ($7.99 value). Additional restrictions mi ght apply. Challenge can be discontinued at anytime without recourse or obligation. No cash value .